Michelle & Tommy are married! Weddings today can become huge productions that lose sight of their very purpose, which is why I loved the simplicity of Michelle & Tommy's wedding. Their calmness and the easiness of the day showed such a solidness to their relationship and new marriage. As usual, Kindred Oaks provided such a lovely setting for the wedding, despite some very unexpected showers! I love first looks...such a wonderful way to have a moment together before the craziness descends! Zuzu's Petals decorated the arch beautifully and the rain stopped JUST in time for the ceremony to be held outdoors. Michelle's dad wins for best accessory of the day- when "Blue Skies" sung by Willie Nelson came of for their dance together, he whipped out a red bandana and put it on. I love it. Michelle's Patisserie made Michelle's fun and crazy cake that looked AWESOME (and tasted delish, too). Oh, Texas in the spring, how I love thee. Sam & Louie are married!!! I met Sam and Louie through a mutual friend, and I'm so glad I did! It was a blast getting to know them over the year, and now they're finally married! Sam & Louie's wedding at Memory Lane Event Center in Dripping Springs was a good time. Don't get me wrong, it was beautiful and sentimental and very obviously founded on a solid love for God and one another, but it was FUN. The two choreographed dances helped, but more than that, the entire crowd was on the dance floor for hours. Sam's nine beautiful bridesmaids looked gorgeous in purple and gold, and were all so sweet as they did each others' hair and makeup, which is great when you think about the fact that there were ten girls getting ready in the same room with limited mirrors space. The groomsmen looked quite dapper, as well. The ceremony was beautiful! I love that Sam's dad and step-dad both walked her down the aisle. The whole thing was super sweet. By the time we got done with family photos, it was pretty dark, but that made for some beautiful portraits of Sam & Louie in the grove of oak trees with lots of sparkly lights! And the reception!!! Get excited. Sam & Louie's families are awesome. It was really evident how much they all delight in one another. And to end, I'll show my tribute to Rudy's, because not only did they cater the wedding and make delicious BBQ, but Sam & Louie met at Rudy's! And then off with the happy couple! Notice that Sam is making the 'I love you' sign as they leave? Perfect ending. Kim & Dwayne Sneak Peek! Here is the first installment of photos from Kim and Dwayne's fun wedding! Don't worry, there are a lot more to come! Elizabeth will be graduating Georgetown High School in just a short time, so I'm glad I met her before she headed off to UT! Though she may be more used to tennis clothes than dresses, this beautiful girl rocked the session! I'm so blessed to have met these two at Southwestern as a first year and now see them married four years later! I'm just going to share one photo, but I think it captures their unique beauty as a couple. May God continue to bless y'all's sweet relationship! Taryn & Seth: Sneak Peek! I really am so lucky to have such awesome clients! Even in our short time taking engagement photos, Taryn & Seth's happiness was very evident. Not to mention the fact that they don't mind a little adventure in the river! So here are a just a few photos from our fun shoot! I know I just admitted that I'm a baby about the cold....but even I can't resist such a beautiful snowy day! Especially when snow in Texas is so rare! I'm the biggest wimp ever when it comes to the cold, but there's something undeniably enchanting about a cold, misty morning. Being outside when frost still adorns the grass and the only sounds are a few birds chirping (cliche, I know), puts your heart at rest in a way that seems impossible in our noise-filled days. I nearly died with delight at the way the rising sun illuminated the steam rising from the ground. Luckily, I survived to share some of the beauty with you, but you should definitely go watch a sunrise and enjoy the silence yourself. Just a warning, I think that graveyards have their own special beauty, but if you do not, you may not find the photos quite as lovely! I though that I had lost these images when my hard drive was wiped, but I just rediscovered these photos of my beautiful sister in Christ! 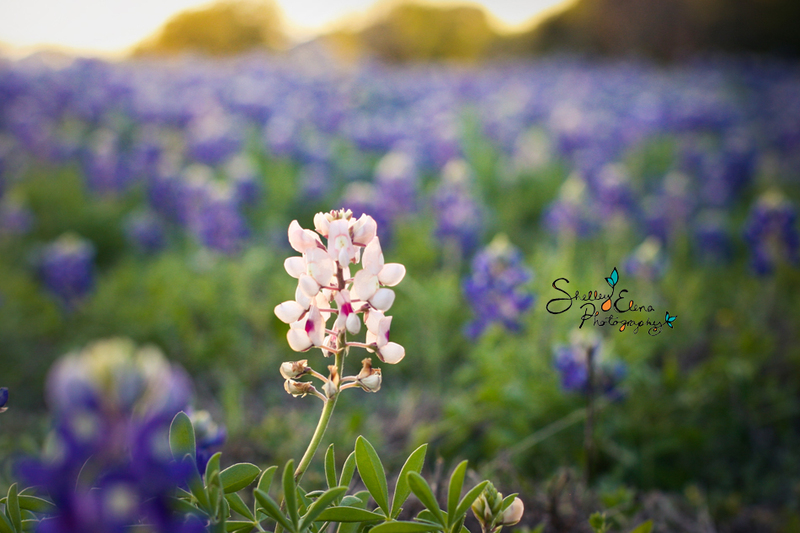 ShelleyElena Photography has a blog! Welcome to my blog! Here I will share recent jobs (now that I'm actually getting lots of them!) and whatever other things happen to appear in front of my lens. Enjoy! I'll start it off with a picture from my family's Minnesota camping trip. Don't worry, there are plenty more to come!